Last Friday was a day of massive disappointment. Thankfully the disappointment stayed in South Africa and didn’t creep into the Drum in Birmingham. 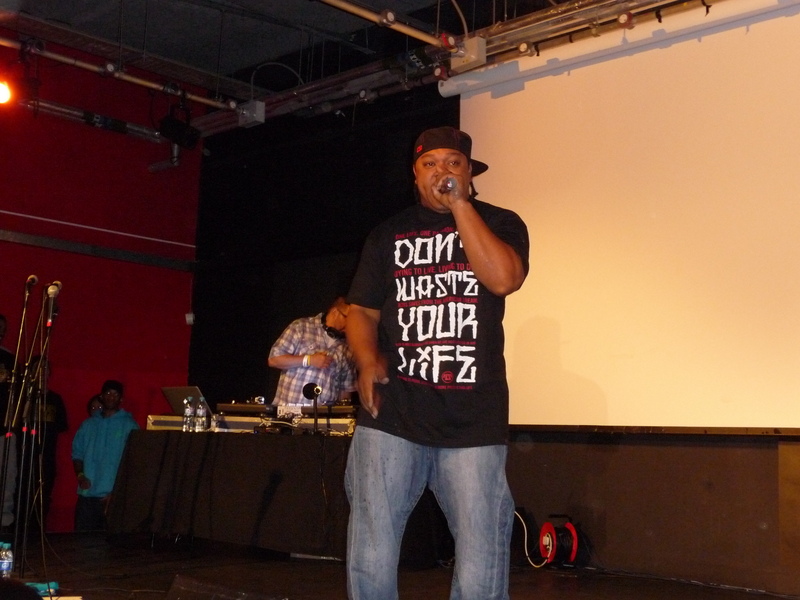 Despite fears that the England match would affect the turnout at GL Live VII, the venue was full of holy hip hop fans. All, I’m sure, will be glad they came to the event instead of watching yet another poor England performance. Footy aside, this GL Live was a lively night with a stacked bill of top quality artists from both sides of the Atlantic. In fact, I was so excited about seeing Tedashii and Trip Lee, I had to be careful not to overlook the talented British artists in the run up to this event. Following a manic drive to Brum, we arrived just in time to see artists such as Triple O, Sharon Rose and Forever Christ tear the house down – and that was before the headliners even stepped on to the stage. Then came Tedashii and Trip Lee. Both artists brought pure fire to the stage, with particular excitement about Trip Lee performing tracks from his album that was released on the night. The set ended with both on stage alongside DJ Official performing some collaborative tracks together. It’s rare, even for GL Live to have two artists of this magnitude on the same stage and we definitely made the most of it. The only reminder we had of the World Cup was from the vuvuzela that someone had sneaked into the room but I think even he tired of it after a couple of blows. For England fans, there wasn’t much to celebrate on the pitch so we just decided to enjoy some briliant music instead and celebrate Jesus! Next Post Midnight Oil 2010 – Tickets on sale now!